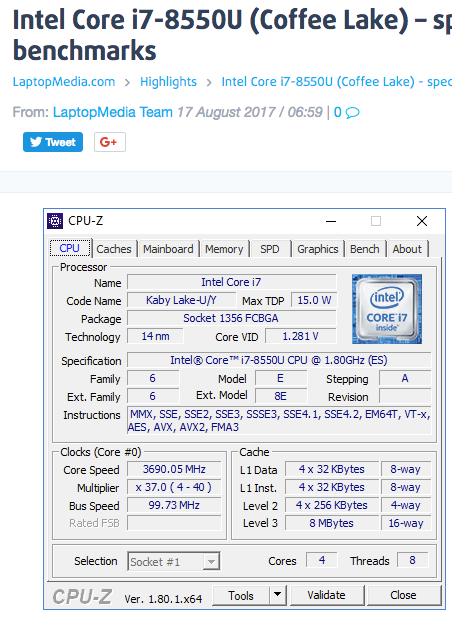 The Intel Core i7-8550U is a power efficient quad-core SoC for notebooks and Ultrabooks based on the Kaby Lake Refresh generation and was announced in August 2017. 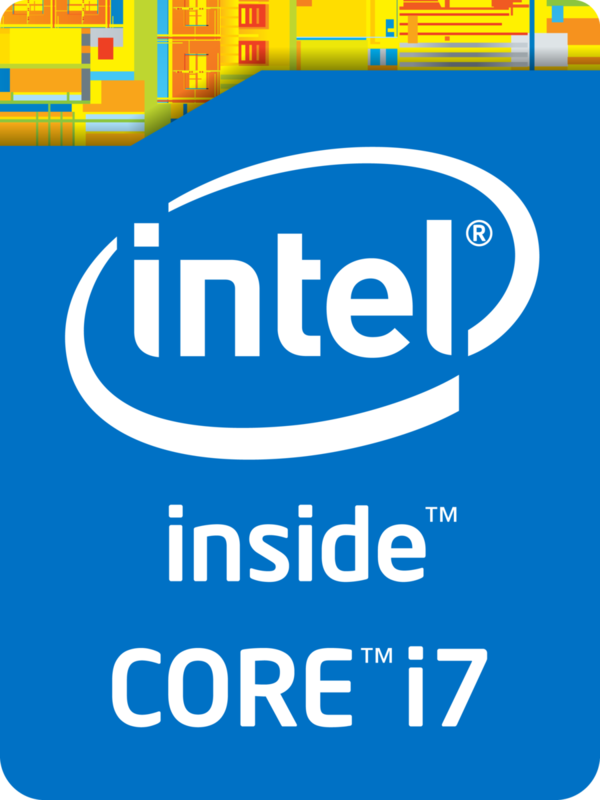 Contrary to its direct predecessors Core i7-7500U and i5-7260U, respectively, which were still dual-cores, the i7-8550U is equipped with four cores but at a lower base frequency of 1.8 GHz. The Turbo Boost is not specified yet, but should be at least 3.7 - 4 GHz and therefore also offer good short term single core speeds. The GPU is now named Intel UHD Graphics 620 but otherwise identical to the Intel HD Graphics 620. The integrated memory controller supports DDR4-2400 / LPDDR3-2133 and dual channel memory. The performance of the i7-8550U depends on the cooling solution of the laptop and the defined TDP limits for short and long term performance. This leads to big differences in our benchmark scores ranging from the 15 Watt reference by Intel up to the 23% higher score of the Inspiron 17-7773 in the Cinebench R15 Multi benchmark. Especially when taxing the CPU for longer periods, these differences can be even higher. In our usual benchmarks, the average i7-8550U is as fast as the 35 Watt rated Core i5-7440HQ. For single thread performance, the high Turbo Boost frequency helps achieving one of the highest scores for mobile CPUs. The integrated Intel UHD Graphics 620 (Intel Gen 9.5) is untouched from the 8th Gen Kaby Lake chips. With fast dual-channel memory it can reach the performance of a dedicated GeForce 920M. The chip is manufactured in an improved 14nm process with FinFET transistors (14nm+), the same as the 7th Gen Kaby Lake processors. Intel still specifies the TDP with 15 Watts, which is typical for ULV chips. Depending on the usage scenario, the TDP can vary between 7.5 (cTDP Down) and 25 Watts.